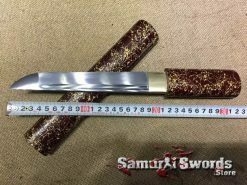 This finely made, sharpened and fully functional Tachi sword is a work of art. 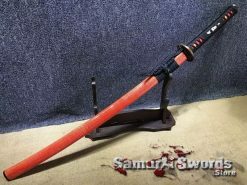 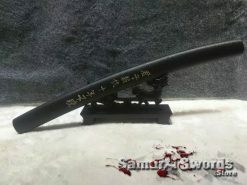 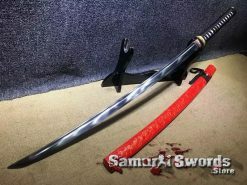 With beautiful black acid dyed blade and dark red edge, this Tachi can be utilized for practice and training. 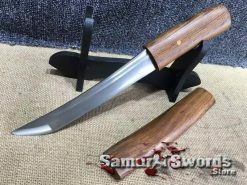 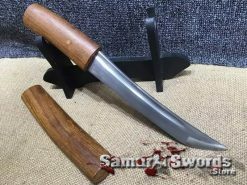 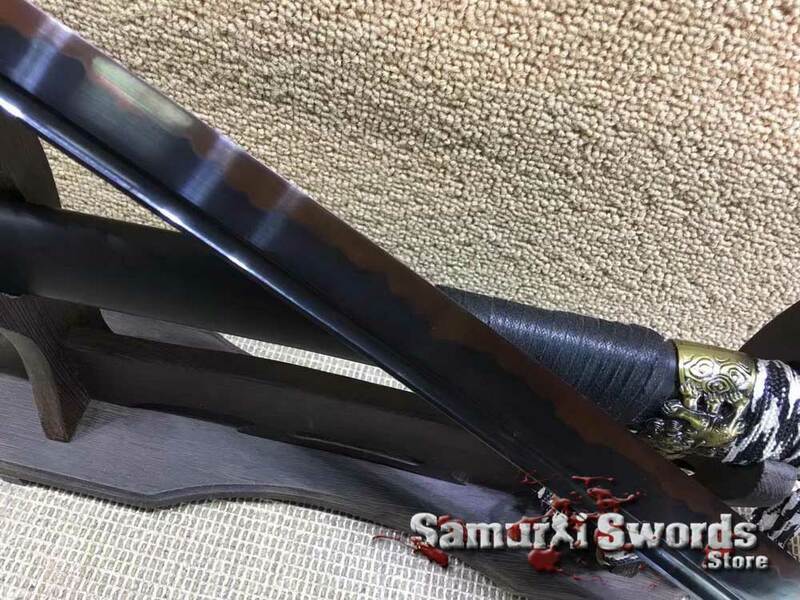 its blade is made from T10 clay tempered steel, the blade has been differential hardened with an authentic wave hamon line. 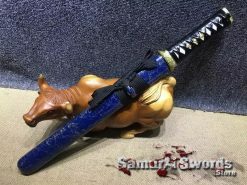 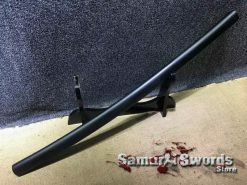 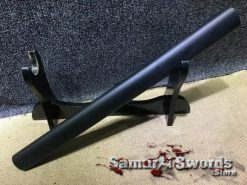 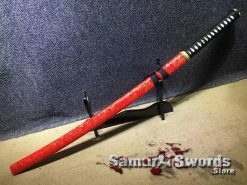 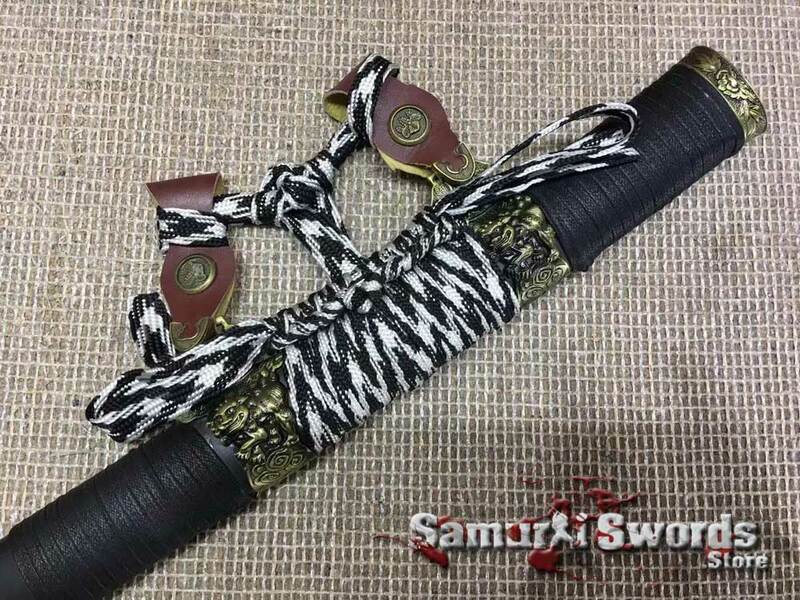 What makes this Tachi unique is its overall aggressive appearance, the blade has been treated thoroughly with black acid dye to achieve this dark tone blade, this is a natural dyeing method and does not affect the quality, functionality, or the durability of this Tachi sword. 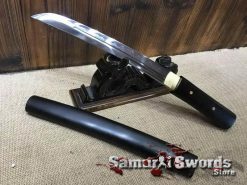 The Tachi blade is full tang making it a solid piece of hardened steel; featuring a single Bo-hi that runs along the blade making it perfectly balanced and swift. 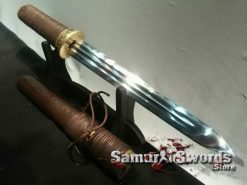 The Tachi was worn in a different fashion from the Katana, while the Katana blade is facing up, the Tachi blade is facing down when was carried by the Samurai, the design of the Katana was inspired by the Tachi and for hundreds of years before the arrival of the Katana, the Tachi has been a favorite weapon among many of the Samurai. 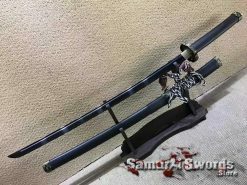 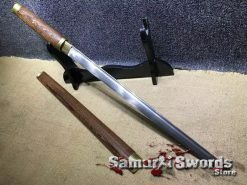 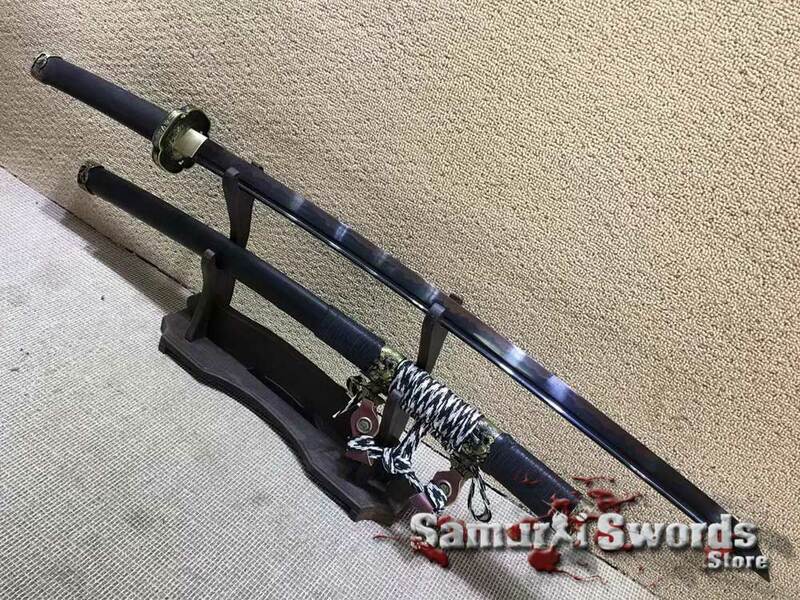 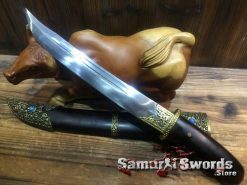 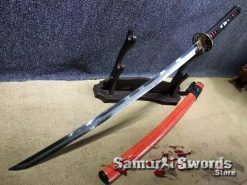 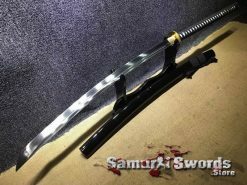 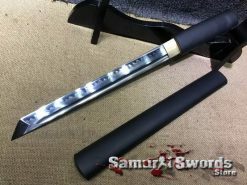 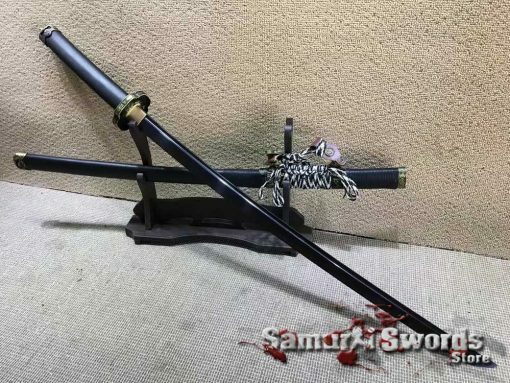 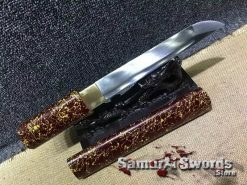 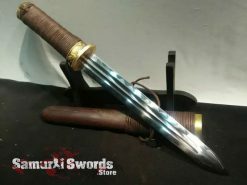 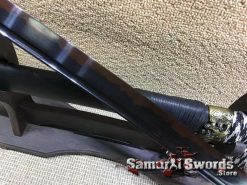 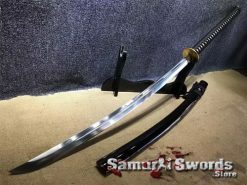 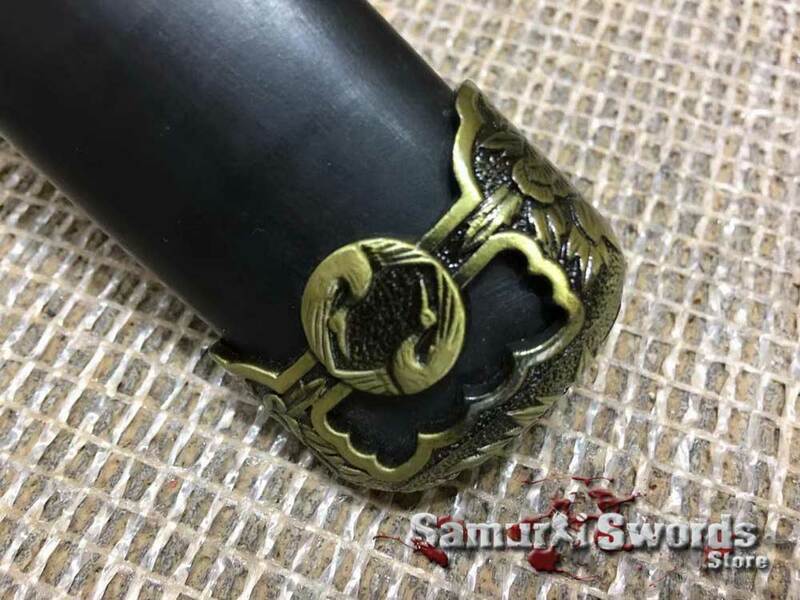 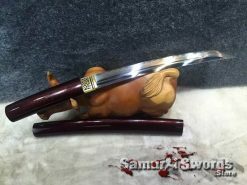 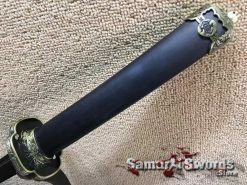 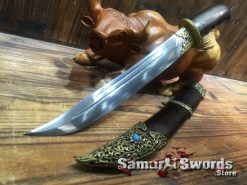 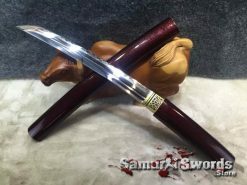 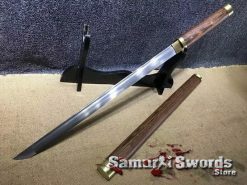 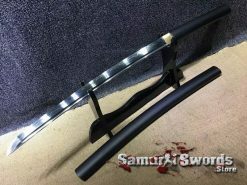 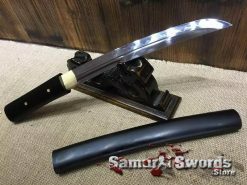 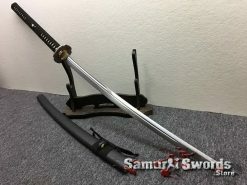 This Tachi has a saya made from ebony wood which is very elegant and appealing to the eyes with some brass fitting but overall black and dark look that matches the entire sword presence. 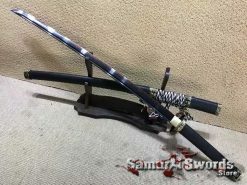 The sword is fully functional and battle ready and can used for practice yet it is also a great item to use for decorative purposes. 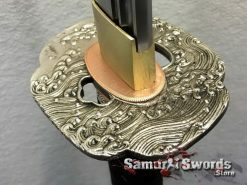 Its fittings (namely the tsuba, kashira, and fuchi) are all made from metal except for the menuki which is made from brass. 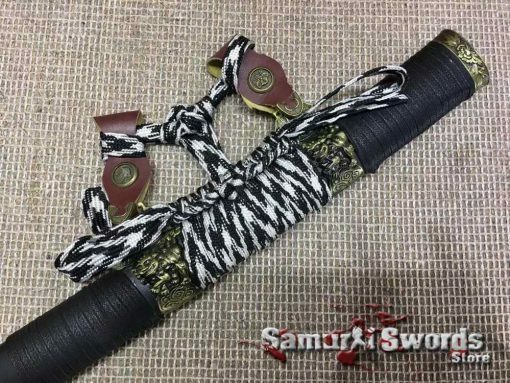 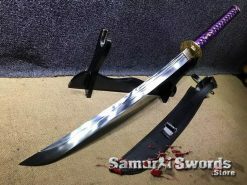 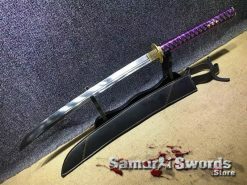 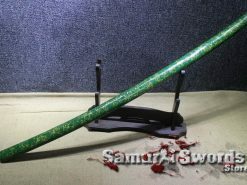 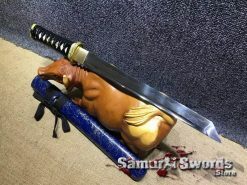 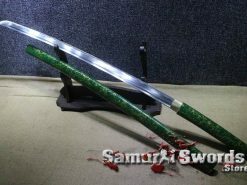 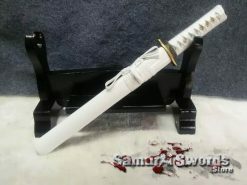 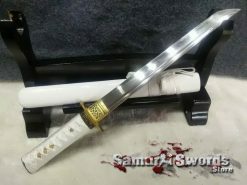 Upon purchase, the sword also includes a silk sword bag that is convenient for carrying the Tachi around or when keeping it safe from dirt and dust when not in use. 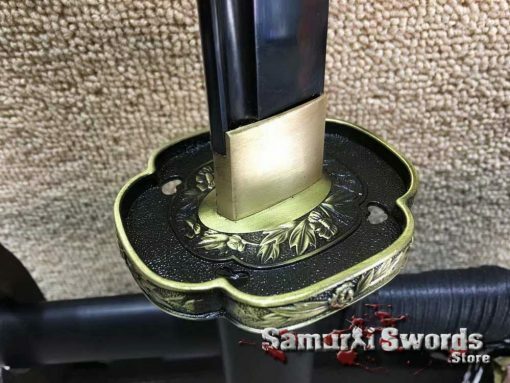 This samurai Tachi has a blade length of seventy-one centimeters while its width measures about 3.2 centimeters; the handle measures at twenty-six centimeters and comfortable to hold. 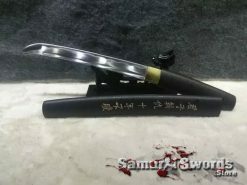 For its weight, this Tachi blade weighs a total of 1.69 kilograms.